Kinda Cute Cards: A baby card for today. A baby card for today. We have a new challenge over at Inspiration Destination and the theme this time is Anything goes, like always. This time there is not a twist (or I think there is not a twist haha). 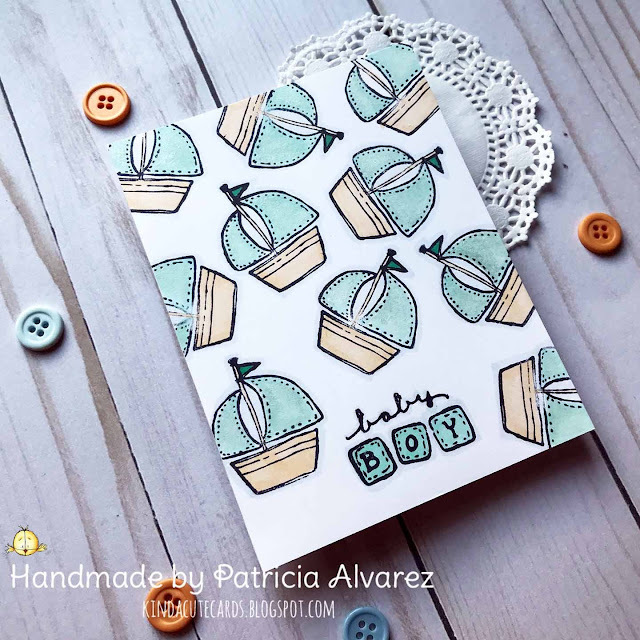 For my card I am using some clear stamps from Fiskars to make this baby boy card. I don't know the name of the set but I am pretty sure they are from Fiskars. If they are not...I am sorry. I colored it plainly with Spectrum Noir markers and I added some sparkle to the boats. I loved making this card because I is simple and fast to make and it is cute ;). I hope you like it and you have time to enter to our challenge today! You have two weeks to participate! Wonderful card! I love those boats!